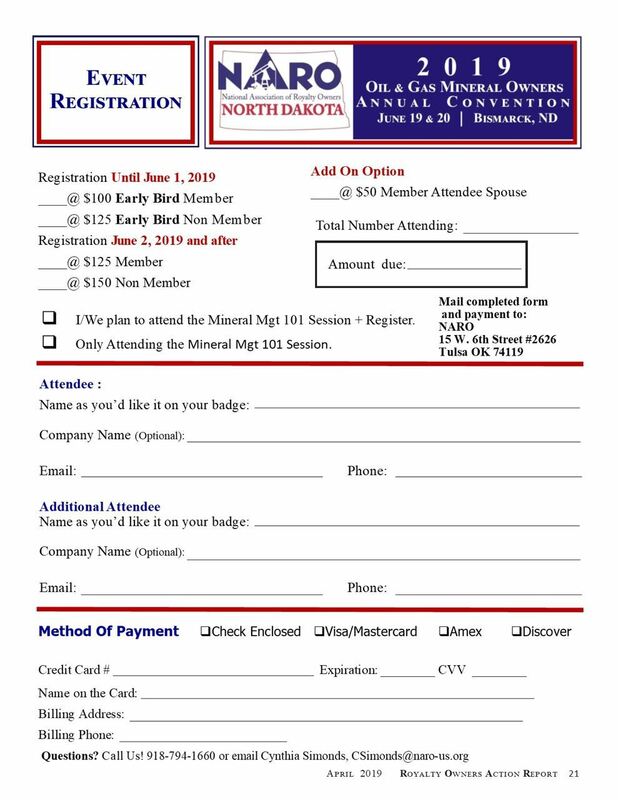 This registration is for current NARO Members. This session will be held Wednesday, June 19 9:30-11am. Registration of this pre-convention session does not allow access to the event. Walk up registration for the full convention will be available to anyone who decides to stay. JOIN US TO LEARN ABOUT THE BAKKEN! will be FREE and open to the public! Please register so we will have enough materials. To make hotel reservations at the Ramkota Hotel & Conference Center, 800 S 3rd St Bismarck, ND at the group rate of $99, call 701-258-7700. The group rate is not available with online reservations. There will be a $50 processing fee for refunds on event registrations.